Guess Who?, Scattergories, Connect 4, Chutes and Ladders, Twister, Yahtzee, Trivial Pursuit, Scrabble, Battleship, Don't Break the Ice, Lite Brite, and Nerf. All are classic board games (except maybe Nerf) that most of us remember well. All are also the subject of 12 federal trademark applications filed by Hasbro, Inc. on October 3rd in Class 041 for "Entertainment services, namely, an ongoing television game show" (one application for each mark). That's right. These trademark applications suggest that Hasbro may be turning games like Guess Who?, Twister, Yahtzee, Scrabble, Chutes and Ladders, and others into some sort of game show. Hasbro filed each application on an intent to use basis, suggesting it is [probably] not using these marks in commerce in conjunction with game shows yet, but has a bona fide intention to do so in the near future. While this does not guarantee a Scrabble game show, for example, it does suggest some sort of plans are in the works for the same. 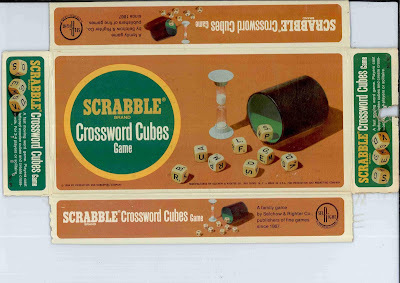 Hasbro has filed applications covering television shows for some of these board games in the past, but none proceeded to registration and were abandoned. And while the entertainment company holds trademark registrations covering television shows like TRANSFORMERS, RESCUE BOTS, and even MONOPOLY, the applications filed on October 3rd are the only active applications covering television shows for the classic board games listed above. According to my quick search, Hasbro, Inc. owns 842 live trademark applications or registrations with the Trademark Office.